Hey guys, I am super, super excited to share with you my 1st travelogue ever! Though I have been meaning to write and share this blog for a long time, I guess today has turned out to be the perfect day to share. Haha! 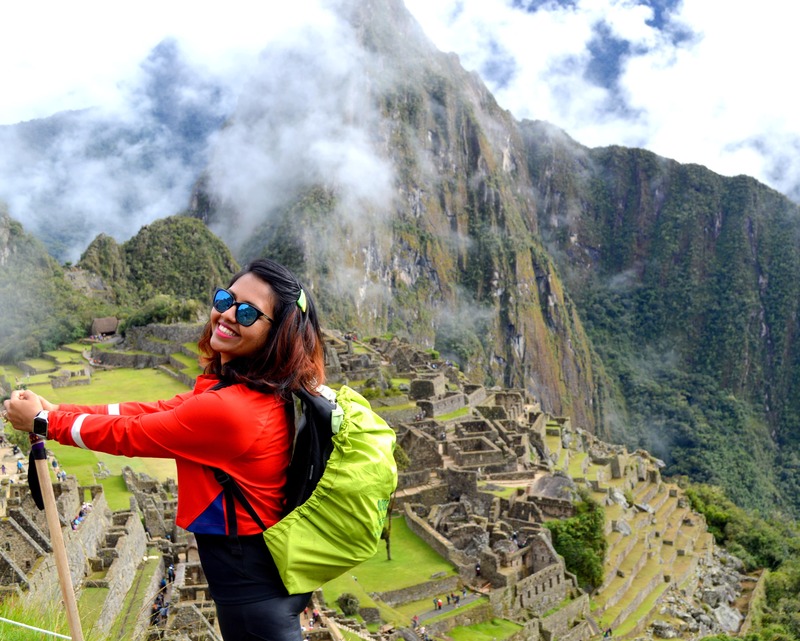 So here I am sharing my uhhhh-mazing experience of the Inca Trail hike to see one of the seven wonders of the world- MACHU PICCHU ♥ So let’s get started!!!!! 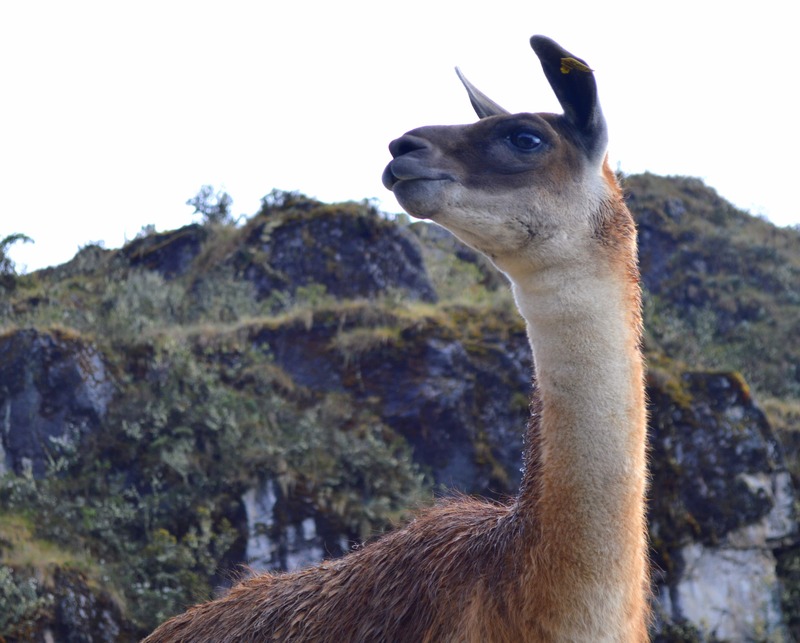 We had booked our Inca Trail hike tour with Alpaca Expeditions and with them, we started in a minibus from the airport which was a 2hour drive to the Sacred Valley of Incas! We stopped midway for having breakfast which I would say was pretty refreshing and a good fuel to start our Day1 hike! 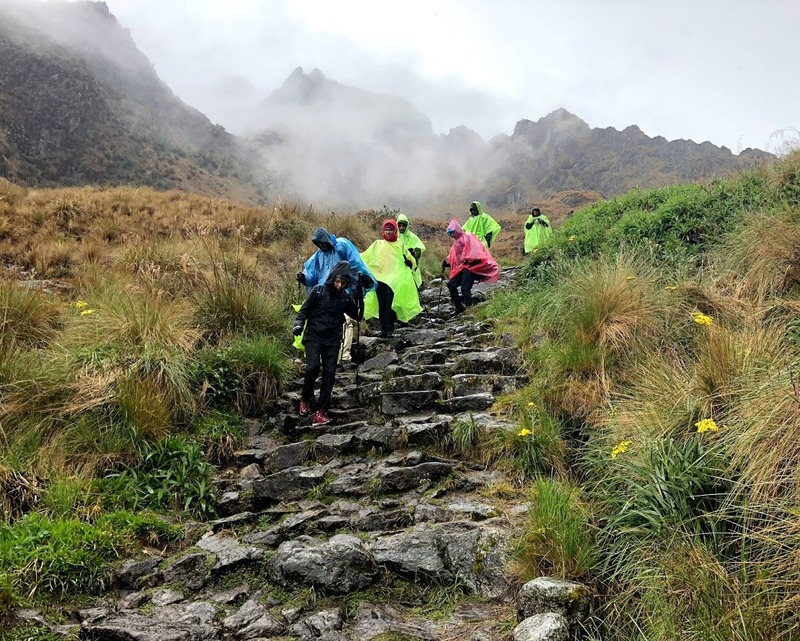 The official beginning of the Inca Trail is called Km 82! We were then provided with duffle bags with our name tags on each one of them and were asked to put 8kgs of our stuff including our sleeping bags in it! Basically, these duffle bags were to be carried by our awesome porters for 4 days and we were supposed to get these every night before starting the next day hike. Finally, around 12 noon we started the most adventurous hike! 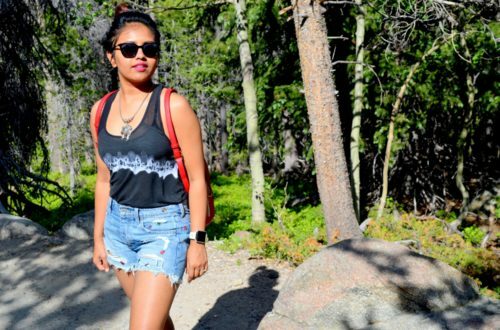 We had to hike 11kms and after we were halfway through, I realized how tough it would turn out to be. 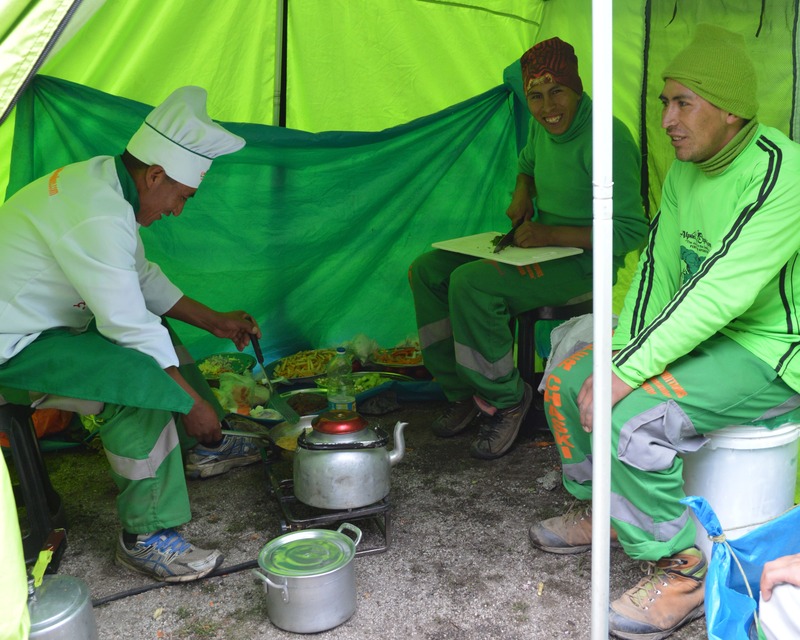 We came to a stopping point where our porters and chef had set up our lunch in a tent with all the facilities they could provide in it. We couldn’t help but admire how organized they were with keeping fresh towels, mini hand soap bottles, sanitizers and some buckets of water to freshen up. The lunch they provided was not only mouthwatering and delicious but also looked like a four-course meal. I am still not sure as to how did they manage to cook so much and so good in the middle of nowhere. But after that half day of a hike, we knew we could devour every serving of food that was put in front of us!!!! 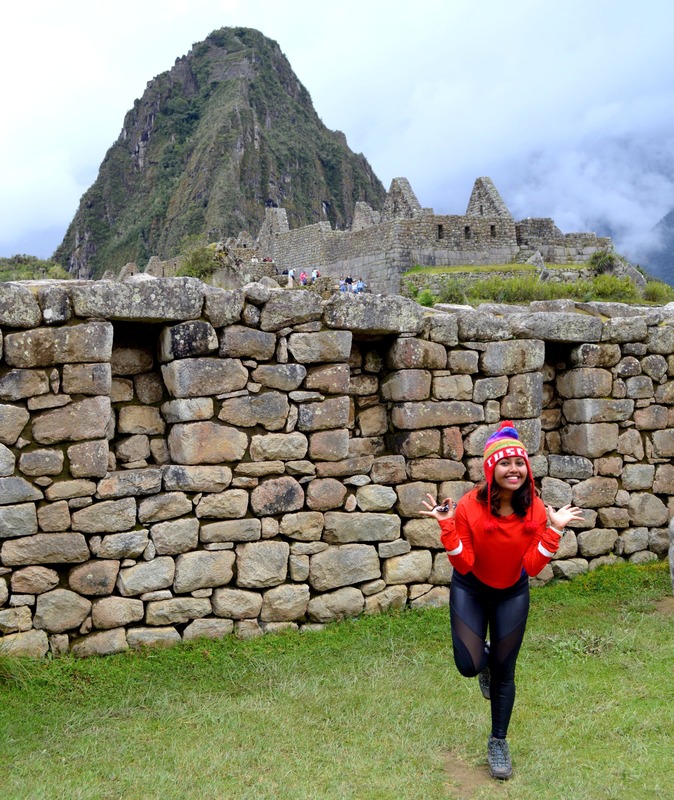 After filling our tummies with yumminess, we started again and reached a beautiful archaeological site called Llactapa. Our guide Oliver was amazing with feeding us with all the information and showing us the amazing irrigation channels. 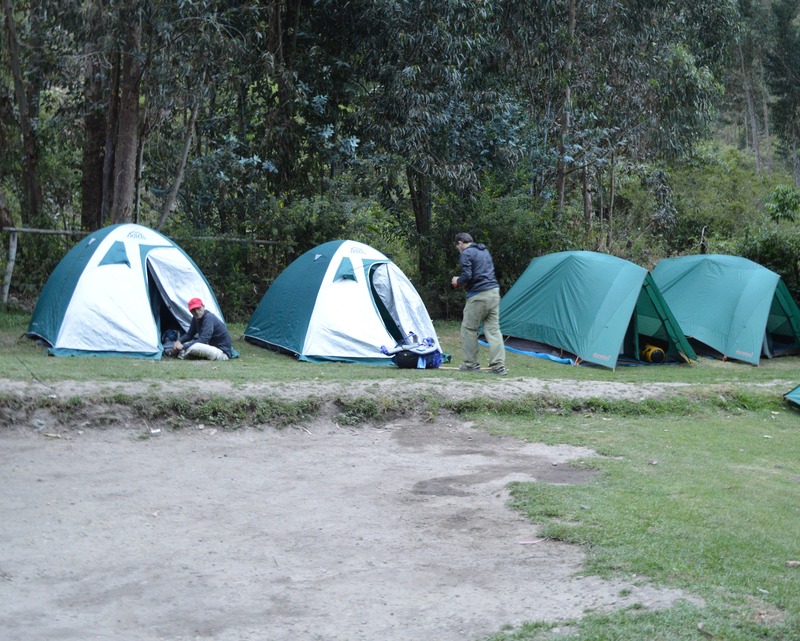 After that, we continued our hike to Wayllabamba (3000m), the camping site where we camped and spent the night. 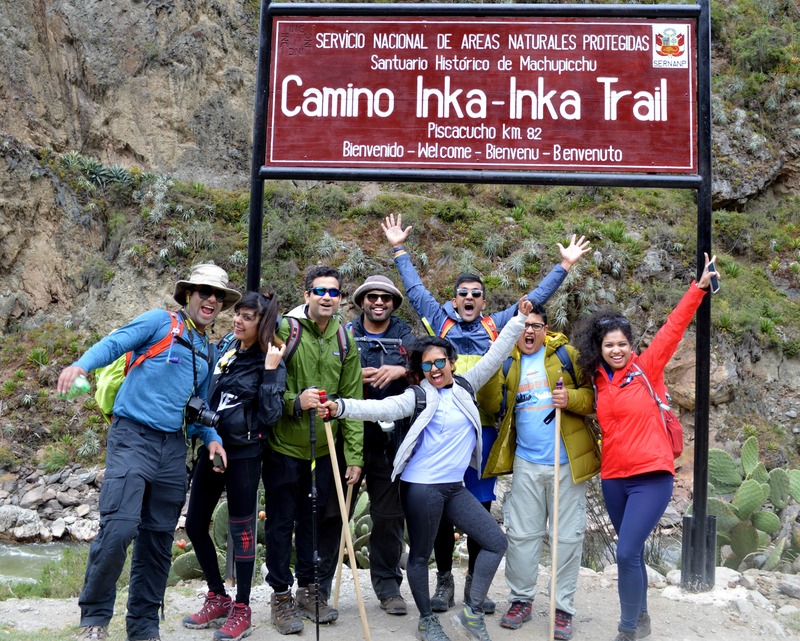 Day2– I slept like a log last night and thus woke up feeling fresh and pumped up for our Day2 hike! 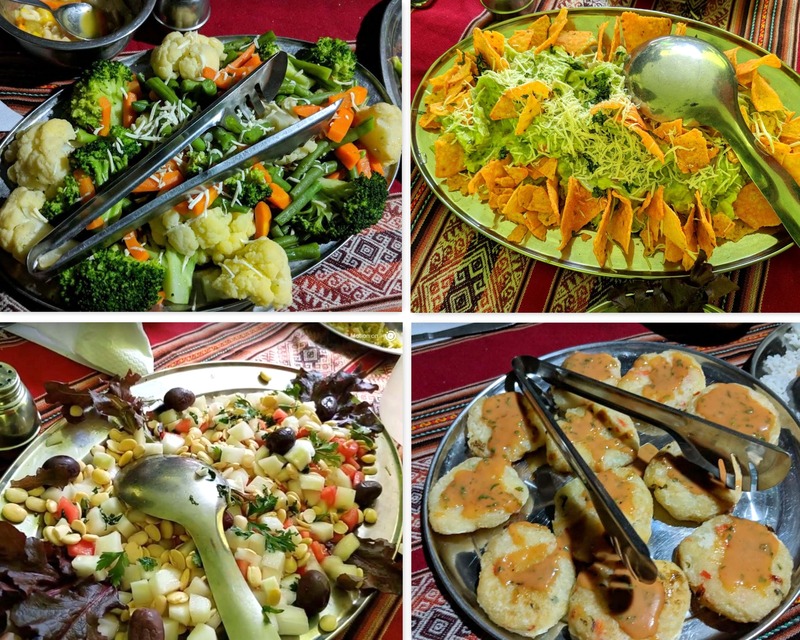 At 7 am the breakfast was served and we got to eat all the best things you can think of- from omelets to porridge to bread butter jam to hot tea/coffee and fresh-cut fruits! We got our fuel for few hours and started our journey to Dead Woman Pass which is at an elevation of 14000 ft.!!!!! Oliver had mentioned this to us before that Day2 is going to be crazier, better and bigger. I would say reaching the DEAD WOMAN PASS was quite a challenge! It was very tiring and my fingers started to have that tingling sensation which was not fun at all. At one point I thought of taking a step backward but as they say, every good thing comes at a price and there was no looking backward. We were in a group of 8 and one of our friends was doing a great job in cheering us up and making us feel that this a walk in the park. But after a lot of huffs and puffs, we made it to the pass and the view from there was breathtaking! It was hard for me to believe that I made it to the top! Well, it was time to take some crazy pictures but it got crazier and how? It started pouring down. 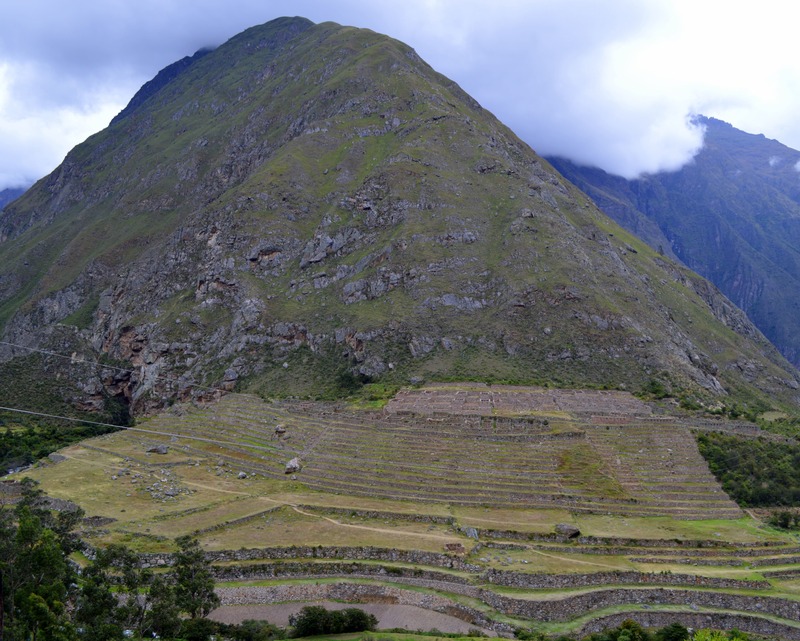 I guess the Inca gods were showering their blessings on us haha. We still managed to click some pictures in our not-so-favorite green PONCHOS lol. We then started heading down to our campsite to the Pacamayo River. Initially, I thought going downhill will be easy and quick but OH BOY this downhill was slippery because of rains, it was steep and so not cool at all. My head was pounding, and I was a li’l nervous but did we have any choice? 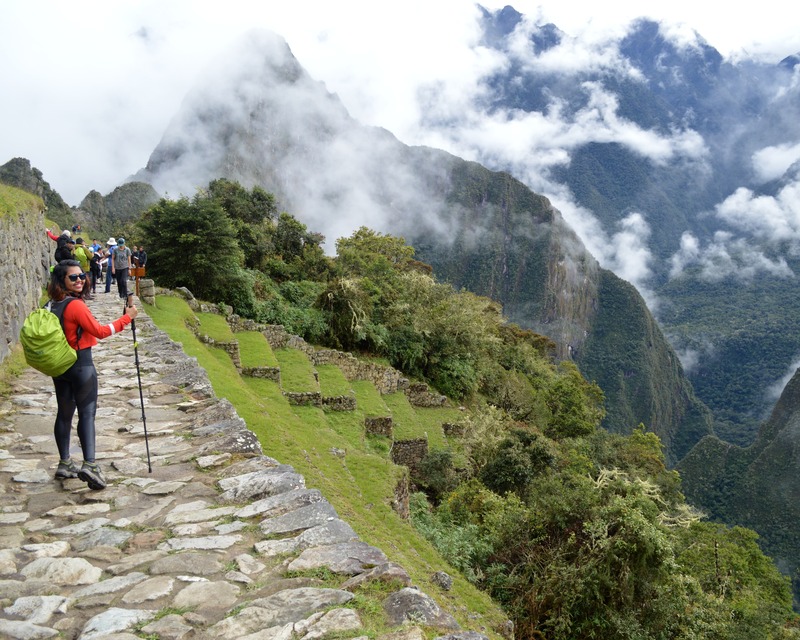 We Started getting down there with the help of our hiking poles and some motivation from our friends and other hikers! Finally, we made it to our campsite but there was an odd mixed feeling of accomplishment, tiredness, and relief. 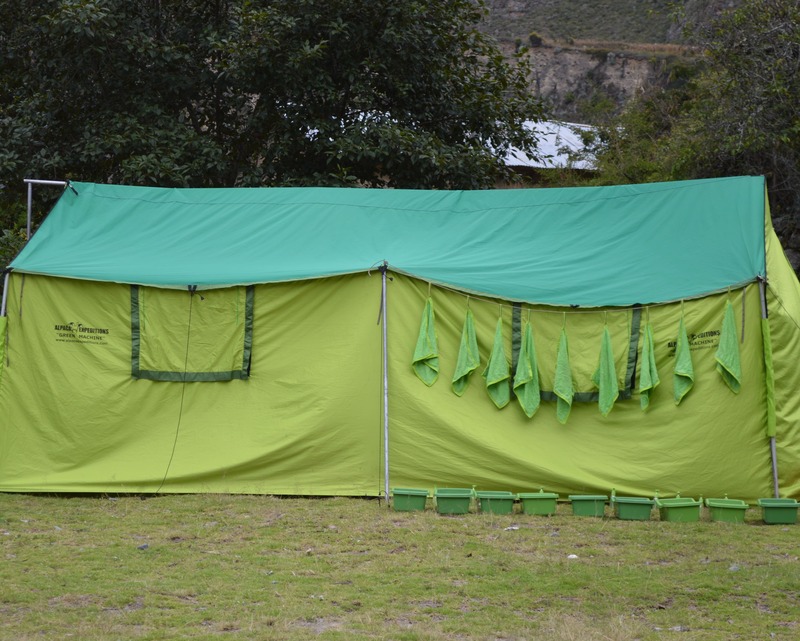 We quickly rushed into our tent, changed to dry clothes and took a nap. 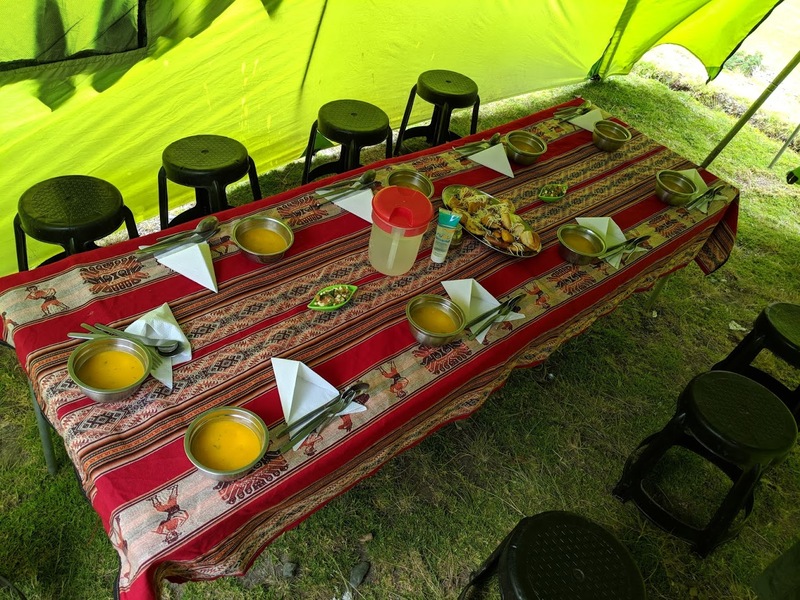 In the meanwhile, our chef and porters had prepared a scrumptious meal for us but surprisingly I was not hungry (even after hiking for so long) and felt like throwing up. 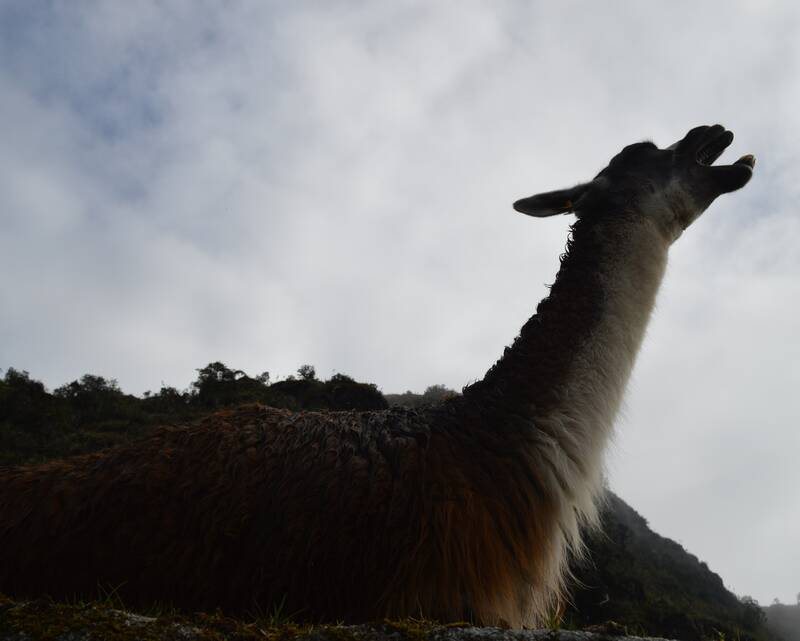 But I guess all these symptoms were a proof of altitude sickness. I Tried my hands on some hot soup but that was it for me. I couldn’t eat anymore and just wanted to relax and sleep. I thought we’ll be heading to our tents to get some sleep but the best part of the day was still left. 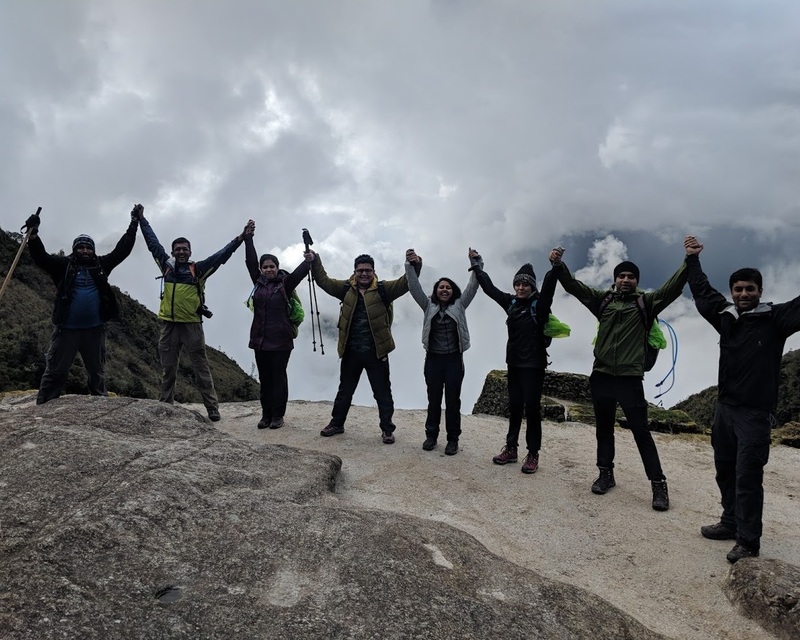 We all gathered in one tent and had some fun time gossiping and discussing which hike so far was the toughest for each one of us and it went on and on!!! Day 3– I woke up with a li’l headache but the super yum breakfast made by the chef made it go away real quick! My body was sore from the tough day2 hike but again, we chose to do this and had to finish it!! This day we were going through the woods and forest and heavy rainfall was anticipated! We were back to wearing our GREEN PONCHOS lol. 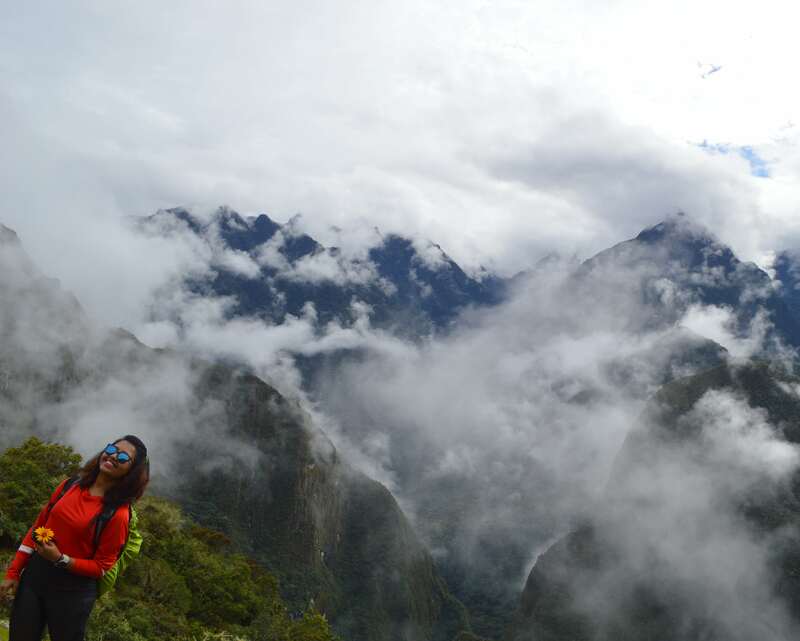 We hiked the entire day in the rain but it was all worth it! 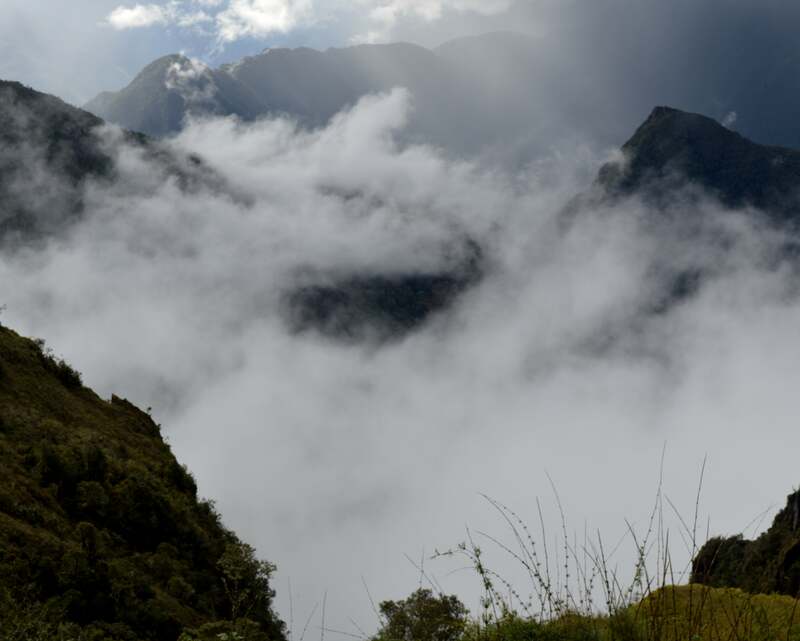 We passed through a circular Inca control point that occupies a commanding position overlooking the spectacular Vilcabamba mountain range below. 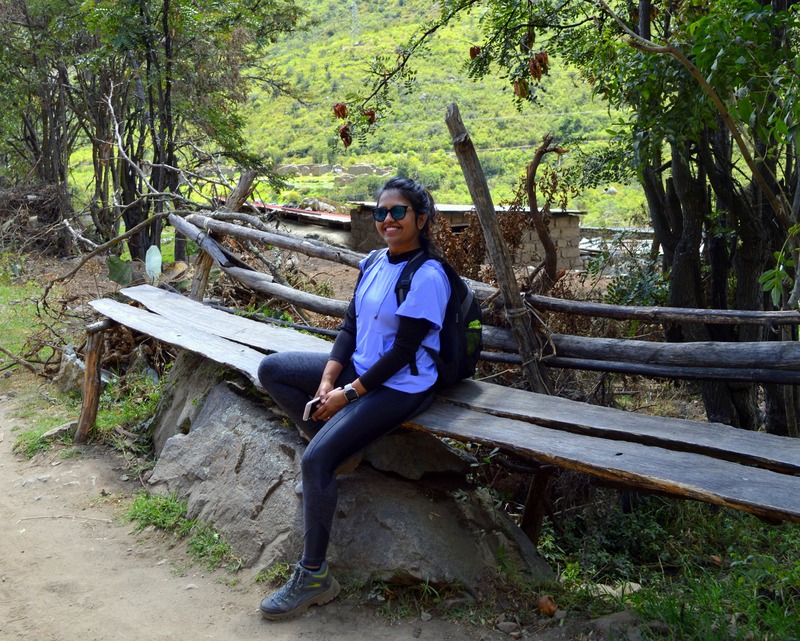 Like the previous 2 days, we stopped for lunch, then started the hike and saw some beautiful landscapes and lush green forests. 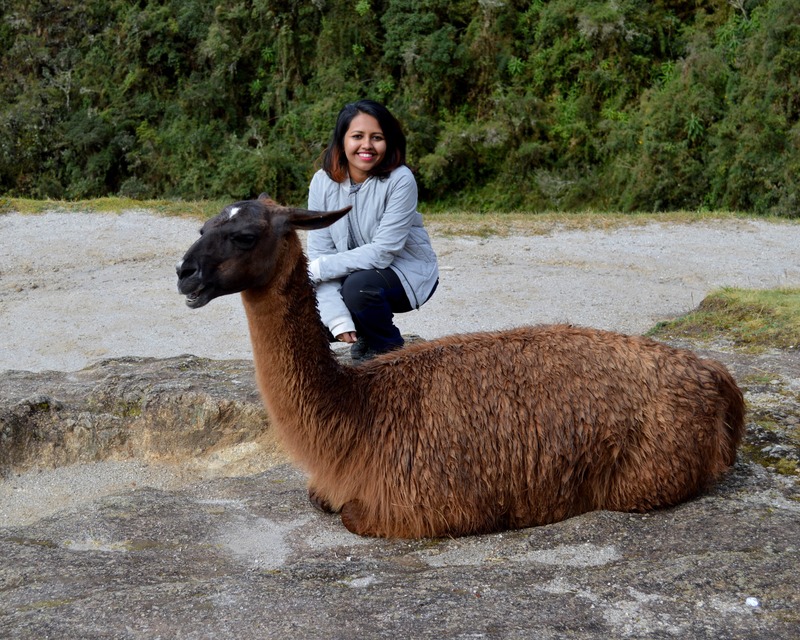 We then met the tall gorgeous animal Llama on our way who was a true delight to watch. We also did a little ceremony for pacha mama which was quite a different experience for us. 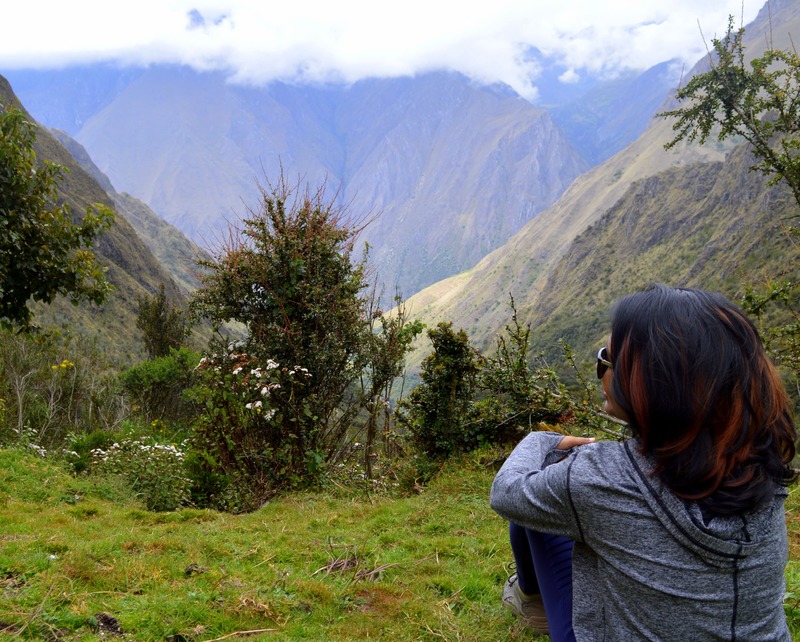 It was our last camping night, we had mixed feelings but I guess we were ready to see the beauty of Machu Picchu and all the hype about it. 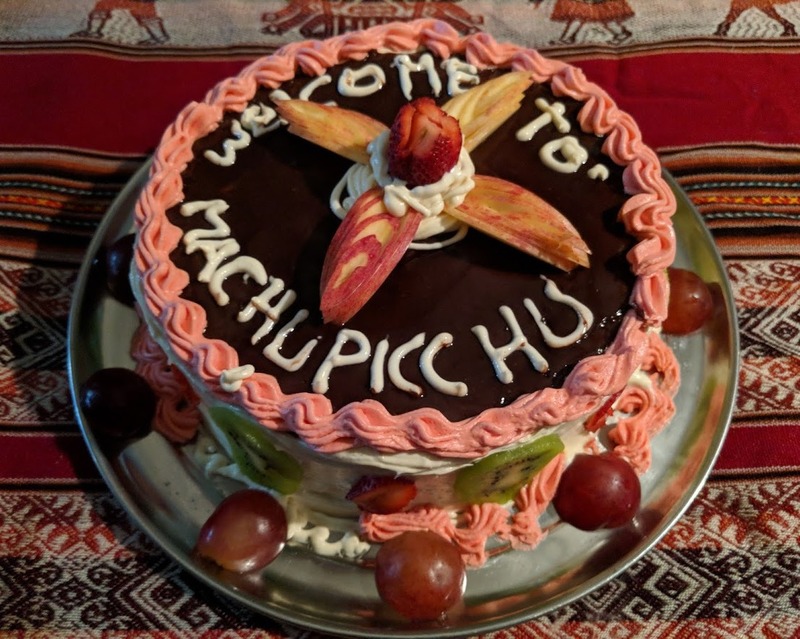 Oh but wait there was a surprise for us before we headed to our tents and guess what, our chef had baked and decorated a stunning cake for us!!!! It was such a heartfelt gesture and we couldn’t be thankful enough to their entire team. All of us relished the yummy cake, raised a toast for the amazing job our porters did and had a fun night! 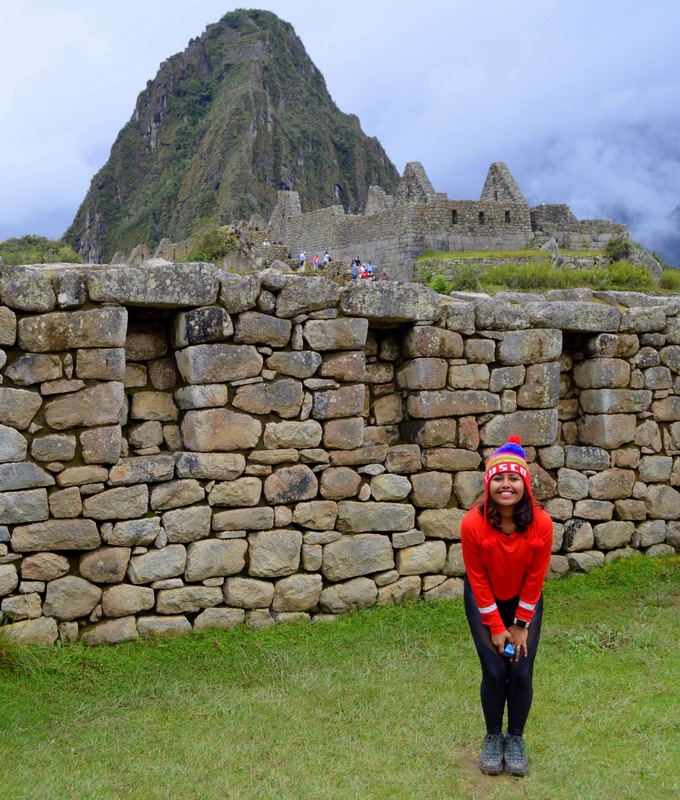 Day 4– Finally the day arrived when we were to see one of the 7 wonders of the world! It was quite an awesome feeling. We woke up at 3.30am and started our last day journey at 4 am! 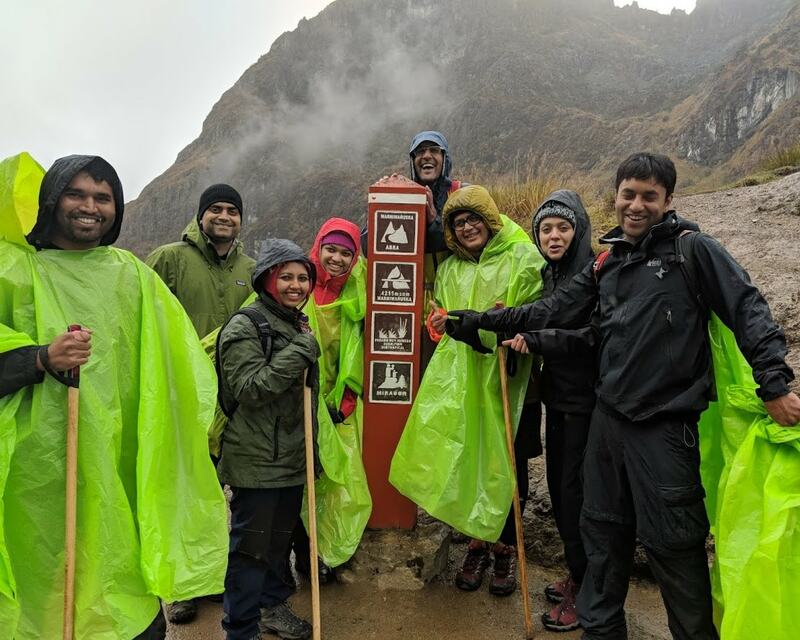 We had to reserve our spot in the line to the Sun Gate and oh boy we could see headlamps and torch lights flashing all over since it was deep dark and cuz of rains it was quite muddy, a little risky to hike but still, the excitement made everything so much easy! After an hour and a half hike, we reached the Sun Gate but it did not end there. 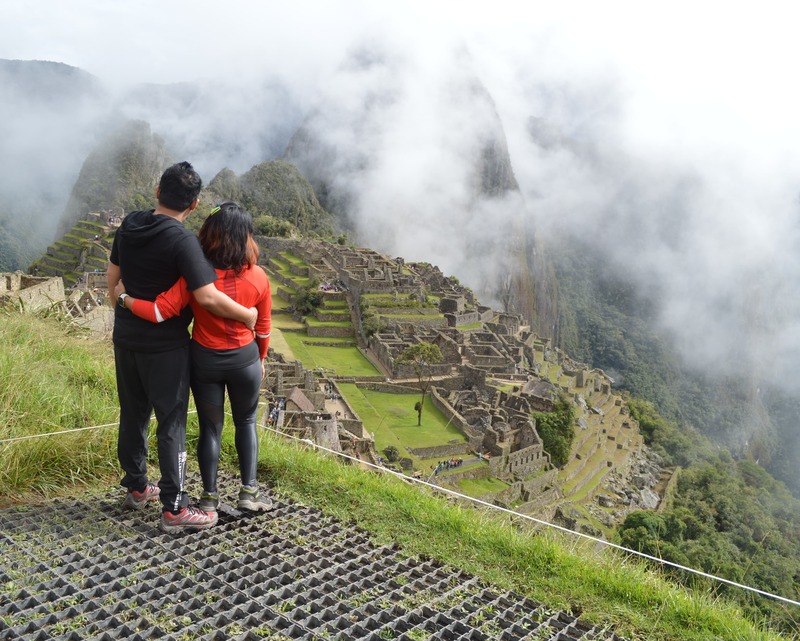 We were supposed to see Machu Picchu but since it was raining and foggy the sight was completely ruined. We didn’t lose hope and started hiking again just in a hope that by the time we are finally there the fog will clear out. 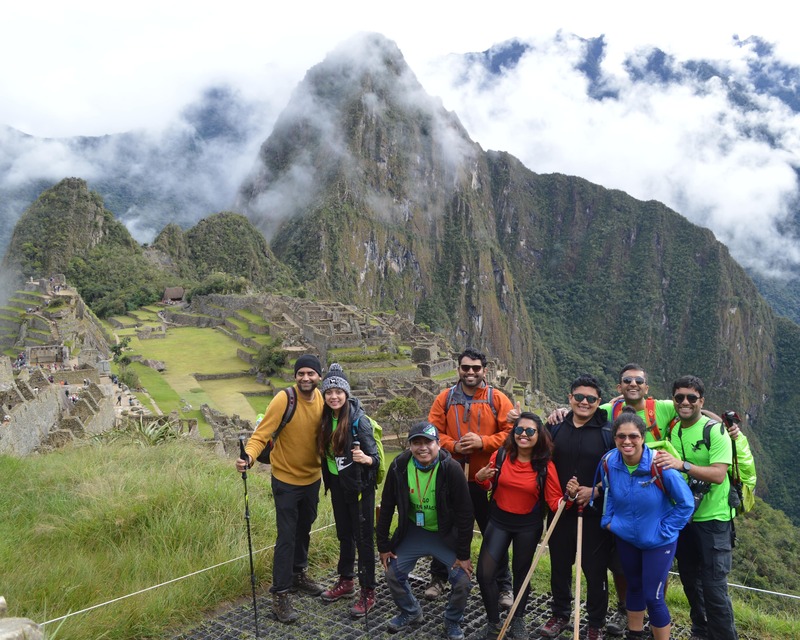 Phewwww after all the crazy hike, immense efforts and too much excitement we were able to see the most stunning sight- Machu Picchu. WE WERE THERE AND WE DID IT!!! We enjoyed and learned a lot about the history, though I never enjoy reading history but listening to it was a different experience altogether. 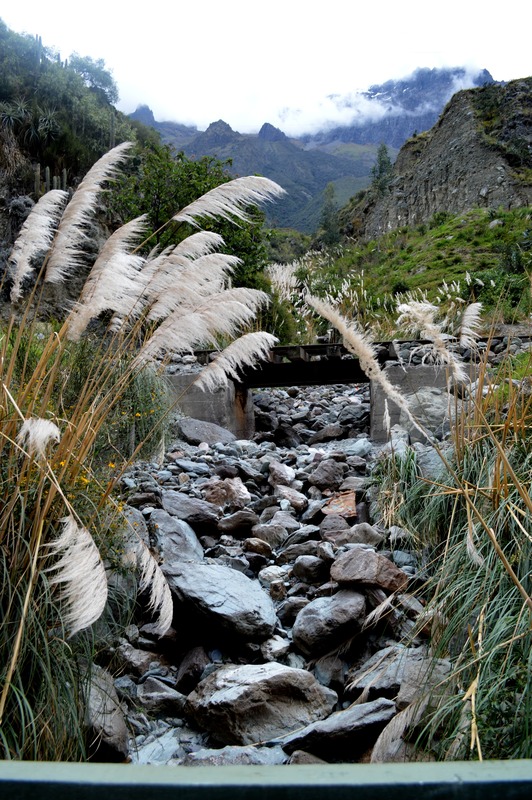 After spending 4-5 hours at the sight we started on a bus to the train station which took us to Aguas Calientes. It was a 2-hour train ride and finally, we were back to the normal life, with our cell phone connectivity haha. 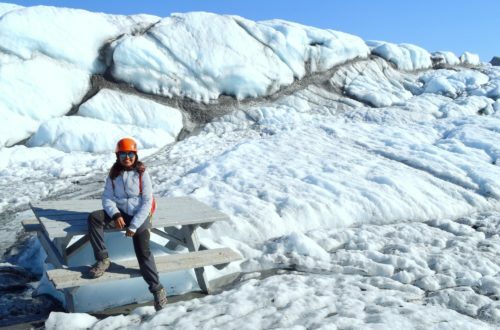 I hope you enjoyed reading this space and maybe plan a hike or a trip to Machu Picchu. Now coming to the outfits, I chose to wear outfits from – inPhorm, AloYoga, Koral and Thrive Societe. 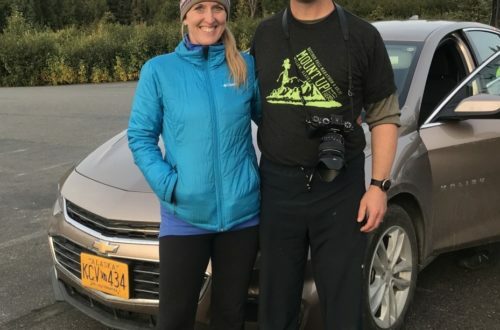 inPhorm’s tops and leggings are made using moisture management technique and I would say they kept me sweat free and cool on the strenuous hike! Thrive Societe’s tops are so soft that makes you feel warm and comfortable at the same time!!! !